Lagos State Governor Babatunde Fashola this evening re-instated all 788 doctors that the state sacked a few weeks back after the doctors embarked on a strike the Government called illegal. The leadership of the Doctor's Association met with reps of the Government and they settled their differences. Now alliswell. Politics. Politics. Politics. While they were busy striking and playing politics and holding the public to ransom, lives were lost. Were the doctors right to strike? Was the government right in sacking the doctors? The public needs to know. There has to be a public inquiry. In the strike, the public who needed healthcare, lost out. Hopefully legal measures will be put in place to stop this from happening again to the medical profession, the government and to the public. So wat was the point? So what will happen to the newly employed doctors? Now that's the sensible Gov Fashola that that we all know and voted for. He is back to his senses now, I think he had some brain-waves when he sacked the doctors 2 weeks ago - it's okay, we are all humans and it happens sometimes. Very reasonable man, he is! BRF is an objective and reasonable governor. He might av made mistakes in d past but he got himself back on the right track. ko te le...he no get liver! good. now back to unilag, sorry maulag. hmmmmm . . . and the beat goes on . . . .
Has the Consolidated Medical Salary Structure been implemented yet? So the family and peoples lives that were lost, jeopardized and traumatized was for what? All they succeeded is inflicting pain on the poor citizenry of Lagos. Shebi when push came to shove, Fashola's papa was flown abroad for treatment? So in what way was he or the elite rulers affected? When will we learn as a people? fashola sef. plenty people haff died cos of this strike o.
Ok noted. dey shuld look for a way to wake dos patients dt are dead...#arantnonsense. Ds country is full of drama. Leader that think well. They know when they've gone wrong and listen to the people. Not Leaders like JONATHAN EBELE GOODLUCK that let their pride of being defeated get in the way of their logical reasoning. Our dear boy boy has finally listened to his OGA TIINUBU, Fash is an embarrassment, Im not proud of him, i don't believe he is a true lagosian.. So its only ACN leader that can make u rescind your action. After all the pleading from citizens. Personally, i can never ever vote for a FASH!!!! Now at what cost to the common man abeg? If this country were one that bothers with statistics, you'd be amazed at the number of deaths stacked since the begining of this unnecessary strike. I wonder when our rulers as exemplified by the likes of His Emperor B.R. Fashola that there is strength and definitely not weakness in backing down. It's not cowardice to make a U-turn. I thought they learnt something from the Occupy Nigeria experience. Lives would have been saved and injuries or ill-health turned around and healed by now had The Emperor only but not called the bluff of these doctors. They may not be perfect but for crying out loud, doctors too need the good life(now don't think I no get my beef with them). Fashola, as much as my instincts are powered to bad mouth you and give you a thumbs down, I want to be magnanimous enough to say, thanks for eating humble pie. Now, that is how you do it!! Yes! A good leader listens. So happy about this development. Is there any union or relationship in this life without misunderstanding? Though some have passed on as a result of this singular action. Well, I see this as destiny's way of providing job for those new doctors. Secondly, Leanda Lee please provide more details to this, I'd like to know if the increase has been implemented, abi it's same old same old, and another strike lurking around. Nigerian super story drama part 2. It has shown that Tinubu and not Fashola is Lagos Governor. After so many tax payer lives have been needlessly wasted, he has eaten the humble pie. ACN is confused. Good Fashola. U have listening ears much unlike our Fisherman in Abuja. No hard feelings. Well done. nah fear catch am and jona when dr nation wide threathen am say all would strike that nah dr power for you yeye governor after how many people died ehhh???? @Khenind, state your argument / comment without being uncivilised. ianhairs is not a fool for speaking their mind. They don't have to agree with you or/and striking doctors. Don't attack free speech. Keep displaying ur ignorance. I'm sure u dunno the facts about the case just what u have heard from the biased media. So go ahead and expose ur absolute ignorance! So because their services are essential they should be treated like crap, abi? See how selfish humans are? The word is 'insensitive' dear. And no, the doctors are not to blame. Have u really read the facts? Ungrateful sombitches! U think drs are spirits? U think they aren't human? Does Tinubu have 2 intervene b4 our dear gov fashola knows what to do ni. its such a shame that he cant make decisions by him sef. At least he now knows that the people are greater than their military democratic government. Jonathan..hope u go listen to Ngozi or OBJ..ode oshi! !...small thing send army to Lagos..don't know how Emperor intended to get 788 experienced Doctors from..9ja leaders and show of strenght..abi na brute!! What they were asking for was reduction on the tax government imposed on them. You even ask yourself what do Government use tax money to do.Lagos state government is only planting flowers and they give Tinubu company 2.8 billion naira monthly from tax as consultancy fee. Tinubu owes almost every good thing in Lagos, wait and see when Fashola leaves office you will see how rich he is, he might be richer than Tinubu. @Dr.Khenine, they went on strike first!!! only after they refused to go suspend the strike did he sack them. You cannot hold the government, the people and your patients to ransom. Did they expect the government to jump at their every whim just because we all know they are important? They went against the oath they took and they are at fault for all those lives that were lost. The governor even employed new doctors and that is to show that he tried to cushion the effect of their going on strike. People, be objective!!! At least now, the fear of God has been put into government employed doctors. They'll forever think twice before waking up to say they want to go on strike. Nice one BRF. i think this is the wiseest to do by the Government.If the Government does not call back the doctors, it is the masses who will suffers it.Remember Where Two Elephant Fights,is the Grass That Suffers. Thank God it has come and Gone. By now Doctors must have learnt their Lessons.Kudos to Fashola a point proven. 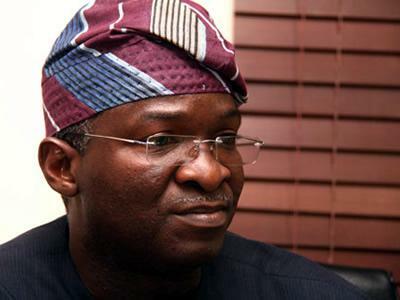 Fashola fashola....DRs r powerful o...abbi u no been know? call a spade a spade,, Fashola listens,,, unlike GEJ..
As natural products don't have any side-effects, you can rest assured for healthy hair. Both brands are popular in known hair salons and spas.